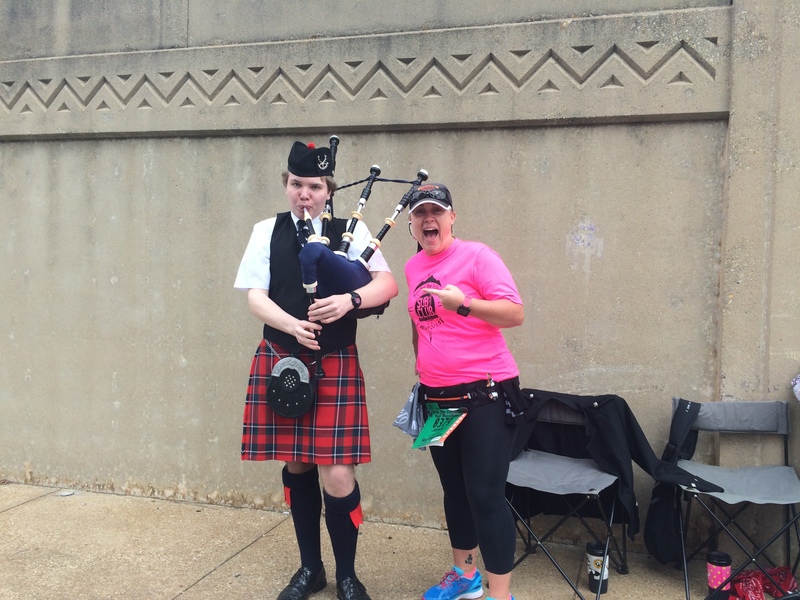 Race report: Cowtown edition! 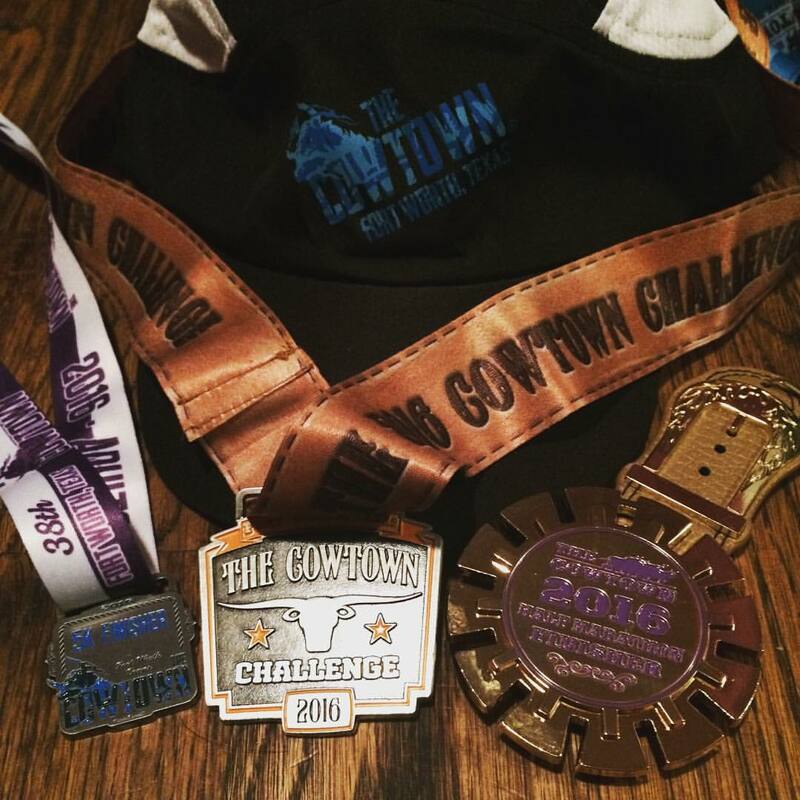 Over the weekend, I ran the 5K and the half marathon for the Cowtown Challenge at Cowtown Marathon in Fort Worth, TX. The stats: this is the 4th year that I have run at least one race during Cowtown Marathon weekend, the 2nd year that I have run the Challenge (complete any two distances on Saturday and Sunday) and the 48th 5K and 23rd half marathon that I have run since I started counting in 2008 post-ORIF surgery. 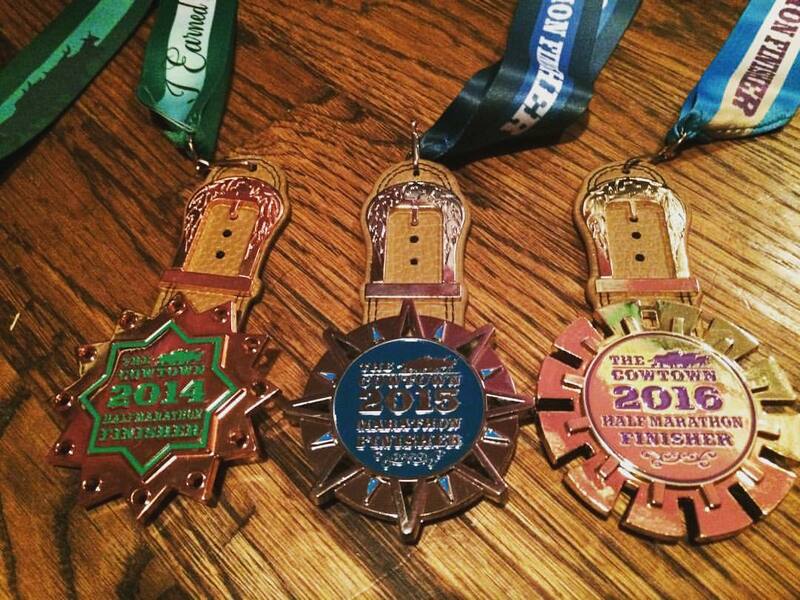 Last year, the Saturday races plus the Sunday marathon and ultra were canceled due to ice and only the half marathon took place – but we were given the option to earn our medals virtually. I couldn’t get out of my neighborhood due to the ice, so I ran both the 5K and the full marathon on the treadmill (which turned out to be a great test of mental strength). This year, however, our weather was perfect! 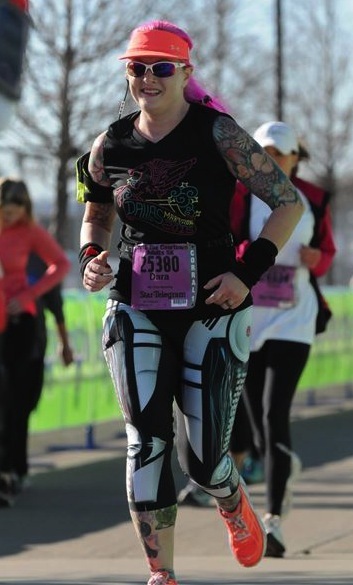 Like my last double-race weekend in January (which I really should post a race report for, since I lovingly call it “Questionable Decisions Weekend”), I wore INKnBURN clothing for both races. 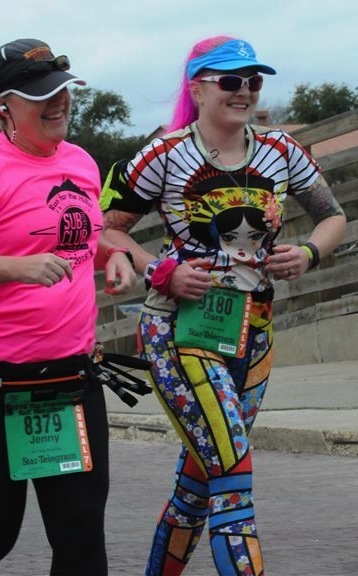 I knew I needed the superhero power boost that their bright colors and patterns always give me, so I picked the Robot capris for the 5K and the full Miko kit for the half marathon. (to find their clothing, go visit http://www.inknburn.com/ and say goodbye to your next paycheck, because you’re going to want to buy EVERYTHING). I ran the 5K alone and in my own happy little world, although I did get to talk to my friend Helen (who was running the ultra the next day) in the start corral. I was struck by how great the spectators were in the neighborhoods we ran through – children high-fiving us and adults holding up signs. I love when people on the race route are genuinely happy to see us traipsing down their streets. I also thoroughly enjoyed the fact that most Fort Worth police officers wear cowboy hats – that speaks to my farmgirl soul! 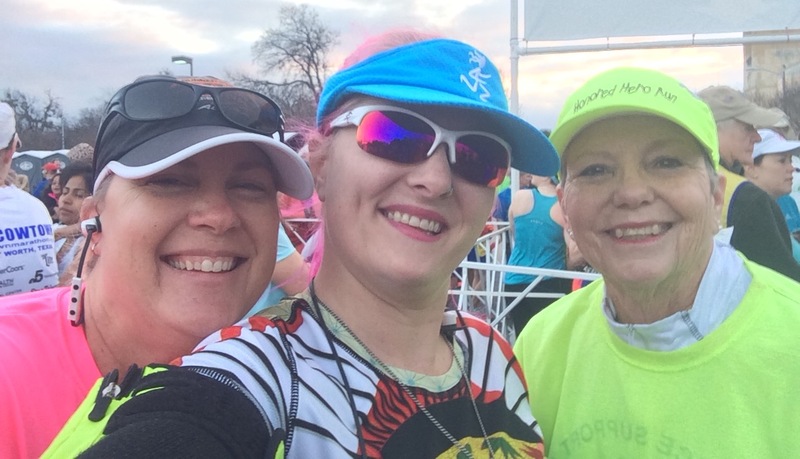 On Sunday, my sister-in-law and best running friend Jenny ran the half with me – we also ran into our friend Linda, who stayed with us for most of the first 7 miles but pulled ahead after and finished a bit before us. Last time I paced Jenny we got her to an 8min8sec PR, but neither of us had a time goal for Cowtown – we were just out there to enjoy a nice training run together (we’re 8 weeks out from running Big Sur together). We finished with huge smiles on our faces and headed to the post-race food line (delicious choices – bananas and oranges, chicken noodle soup, Blue Bell ice cream, cashews, granola bars, and corn crisps), then to pick up our finisher’s shirts, jackets and medals. The Challenge yielded a special medal to join my 5K and half medals, plus a nice baseball cap with this year’s beautiful logo on the front. By the way, that spur actually spins! It’s the third in the 3-year series of spinning spurs that Cowtown gave out. So now I have the half-full-half medals all hanging together on my medal rack. All in all, I’d say that this was probably my favorite local race weekend (Runner’s World Festival is still my all-time favorite race weekend and I cannot wait to go back in October). 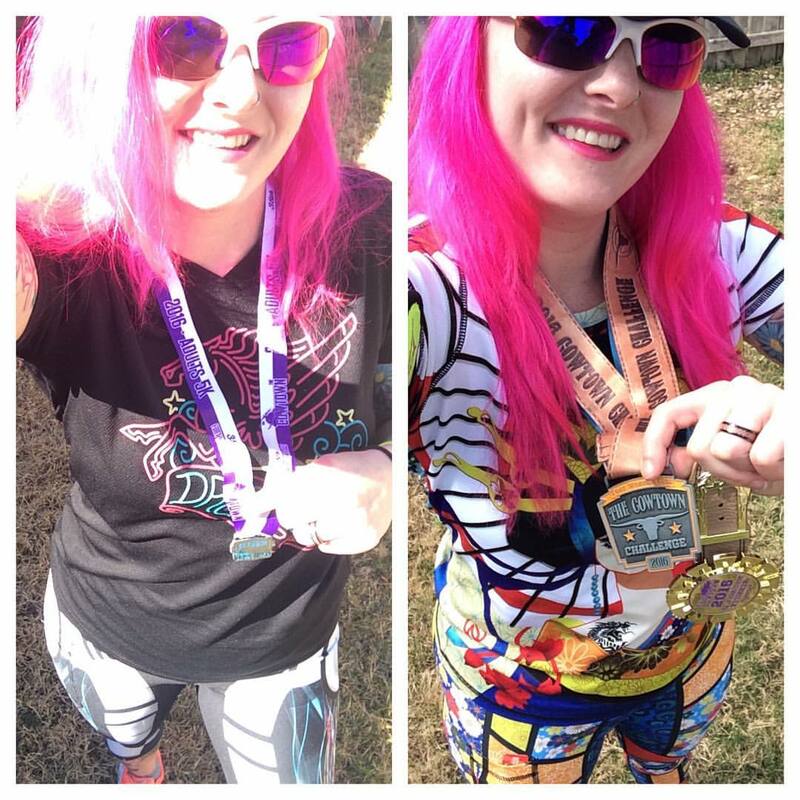 I highly recommend running Cowtown – and I absolutely recommend wearing INKnBURN if you want to stand out and feel like a total rockstar! This entry was posted in Uncategorized and tagged cowtown, Ink N Burn, INKnBURN, Miko, Robot, run happy, Running, running in style on March 1, 2016 by Pyro.